From treating digestive disorders to cancer, the surgical team at Manatee Memorial Hospital's Surgery Center has a wide range of experience using advanced tools and techniques. The highly trained surgeons on staff are recognized nationally for their surgical expertise. Information on the surgical operations performed at Manatee Memorial is provided below. This addition to our two other da Vinci Si® Surgical Systems further advances the technology used in minimally invasive surgery for procedures in the areas of gynecology, urology, thoracic, head, neck, sleep apnea and general surgery. If your medical condition requires an inpatient surgical procedure, we'll work to make sure your stay at the hospital is comfortable and your recovery is quick using an individualized approach and advanced technology. 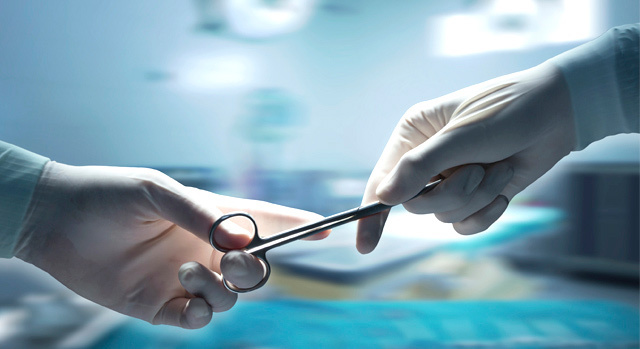 Manatee Memorial Hospital offers outpatient surgeries, giving patients the ability to schedule many surgical procedures in advance. Most outpatient surgeries don’t require an overnight stay. You will receive individualized care with the convenience of recovering at home.